This week, The Fashion Design Council of India celebrated the 10th year of its Couture Week shows. I've been following on Instagram and Facebook and as much as it's about the clothes I always get lots of inspirations for outfit styling, hair and make-up looks. 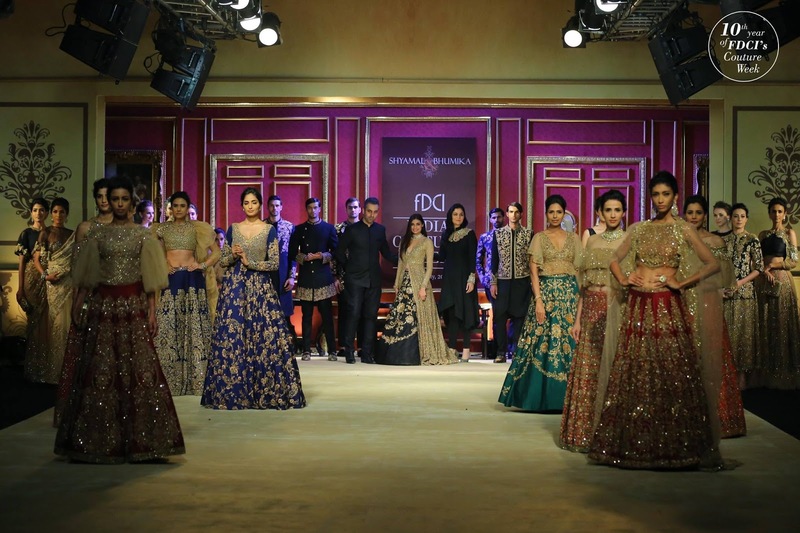 Here's a closer look at the collection from Shyamal & Bhumika, which was captioned with the intro "The Princess calls for a soirée in reverence of her beautiful journeys to the world beyond"
There's just 1 week left of Ramadan 2017, which means Eid is on the way! Last week I went off in search of some Eid outfit inspiration at Intu Trafford Centre. At the end of March, a Khaadi store opened in the shopping centre (click here to read my review!) but this wasn't the only store which offered up something for Eid, in fact even though I only went for a browse...I ended up buying my Eid outfit from Zara! 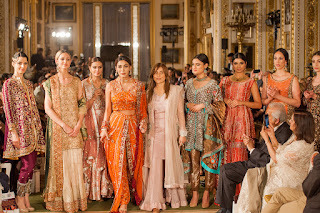 Over the weekend of 20th and 21st May, the 11 Pakistan Fashion Week event took place at Lancaster House in London. Here are some of my standout outfits from the 34 designers who took part. First up, Maria B, whose collection included chic separates as well as more formal evening gowns and dresses. 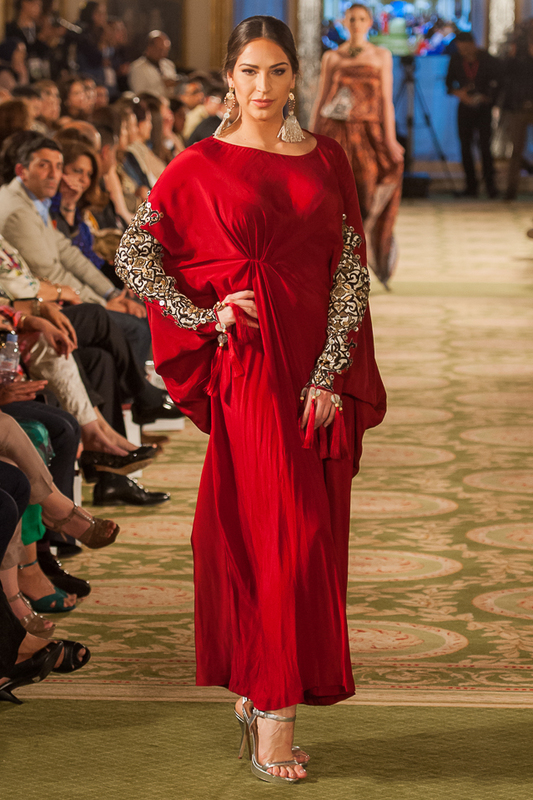 Sadaf Amir was another of the designers showcasing her collection at Pakistan Fashion Week 11 in London last month. Here's a look at the outfits which featured burnt orange colours, a sari and layering. 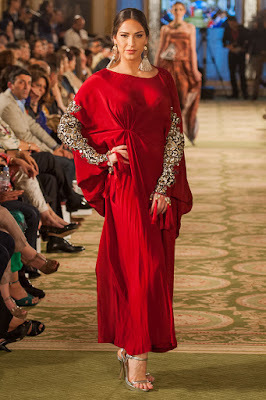 Last month London held host to the 11th Pakistan Fashion Week event. There were 34 designer collections on show, including jewellery and menswear alongside the expected ladieswear and bridals. Here's a look at the collection by Ayesha Aejaz, which featured jumpsuits, floral embroidery, high-low hems and lots of peach tones. 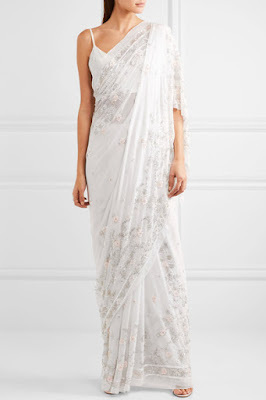 Global online designer fashion store Net a Porter is selling sarees! They have just two available to buy online from the brand Needle & Thread. Here's a closer look at the sarees with a £1,150 price tag! Last week, Pakistani womenswear fashion store Khaadi opened at The Trafford Centre in Manchester. I popped along for a visit to check out the clothes, the prices and more!